The World Match Racing Tour is to expand its schedule for the 2015/16 world championship to 16 events with the full schedule expected to grow to 20 events by the first Tour event in May - the 51st Congressional Cup in Long Beach, California. For the first time since the World Match Racing Tour was founded in 2000, the series will award championship points to all events on the schedule divided into two categories – World Tour Events and World Championship Events. Skippers will count their highest five results towards the World Championship title. To compliment the new event schedule and format, the Tour also revealed its new logo, which has been updated following the former title sponsor Alpari UK entering into administration in January. 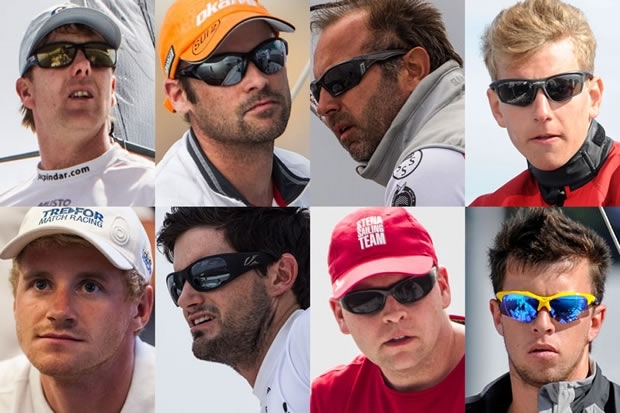 Earning their place to compete on the World Match Racing Tour this season are eight of the highest world ranked match racing skippers that have chosen to take their shot at winning the World Championship title. Joining the defending five-time ISAF Match Racing World Champion Ian Williams (GBR), the 2015/2016 Tour Skipper list includes Tour veteran Bjorn Hansen (SWE) who finished 5th in last year's championship, Keith Swinton (AUS) finishing 6th last year, and Eric Monnin (SUI) who finished 7th. Fellow Swedish match racer Johnie Berntsson also rejoins the World Match Racing Tour this year alongside new Tour skippers 20 year old Joachim Aschenbrenner (DEN), Reuben Corbett (NZL) and Nicolai Sehested (DEN). Sehested is currently competing in the Volvo Ocean Race as a member of Team Vestas Wind, which suffered severe damage after running aground in the Indian Ocean in November last year. The World Championship event curtain raiser for the 2015/16 Tour will be in Long Beach, California from 13-17 May at the 51st Congressional Cup. Re-joining the World Match Racing Tour after more than 10 years, the Congressional Cup has been an innovator in the game of match racing since 1965, introducing the concept of on-water umpiring in 1988. Former winners of the event and recipients of the traditional winners ‘Crimson Blazer’ include Dennis Conner, Ted Turner, Ed Baird, Dean Barker, Gavin Brady, Ken Read, and the 2014 defending Champion Taylor Canfield. After the opening event in Long Beach, the World Tour moves to Europe for events in Germany, Poland, Sweden and Holland before heading back across the Atlantic in October for the 68th edition of the Argo Group Gold Cup in Bermuda. The Monsoon Cup in Malaysia will play host to the World Championship Finals in late January 2016 in Johor Bahru on the Southern coast of Malaysia.